Yesterday I came across an article by Antonio Lasalvia and his colleagues, published online in the Lancet in October 2012, that explores the nature and severity of experienced and anticipated discrimination reported by adults with a diagnosis of ‘major depressive disorder’ worldwide. Moreover, the article reports on research that investigated whether experienced discrimination is related to clinical history, provision of health care, and disclosure of diagnosis and whether anticipated discrimination is associated with disclosure and previous experiences of discrimination. I found the article interesting and thought provoking. Issues of stigma and discrimination in people with a diagnosis of ‘major depressive disorder’ resonate deeply with me given my own past diagnosis of ‘psychotic depression’ and how profoundly I have experienced these issues myself- i.e. how profoundly I have experienced the self-stigma and self-devaluation that internalising the negative effects of perceived discrimination has precipitated for me. In the above mentioned article, (mental health) stigma is defined as ‘a mark or sign of disgrace’ setting a person with mental health difficulties apart from others. Stigma involves dimensions of knowledge (ignorance; misinformation), attitudes (prejudice; affective distancing) and behaviour (discrimination). Depression-related discrimination is defined as ‘the behavioural aspects of (mental health) stigma’, as ‘rejection of and negative behaviour towards people with depression’. It is indicated that discrimination can cause low rates of help seeking, lack of access to care, under-treatment, material poverty, and social marginalisation. These eﬀects can be a consequence of experienced (actual) discrimination (eg, unreasonable rejection after an application for work), or a consequence of anticipated discrimination (eg, when an individual does not apply for a job because he or she does not expect to be successful). For the research the above mentioned article reports on, adults with a diagnosis of ‘major depressive disorder’ were interviewed in 39 sites (35 countries) worldwide with the Discrimination and Stigma Scale. 1082 people with that diagnosis completed the Scale in question. 79% of them reported experiencing discrimination in at least one life domain. The domains reported most often were family, making or keeping friends, marriage or divorce, keeping a job, personal safety and security, and intimate or sexual relationships. Importantly, nearly a third of participants reported that they had been avoided or shunned by other people because of their mental health problems. 37% of the participants had stopped themselves from initiating a close personal relationship, 25% from applying for work, and 20% from applying for education or training. 71% of the 1082 participants actively wished to conceal their depression from other people. Higher levels of experienced discrimination were found to be associated with several lifetime depressive episodes, at least one lifetime psychiatric hospital admission, and poorer levels of social functioning. Experienced discrimination was also found to be associated with lower willingness to disclose a diagnosis of depression, whilst anticipated discrimination was not necessarily associated with experienced discrimination. The authors conclude that experienced discrimination in people with a diagnosis of ‘major depressive disorder’ appears to be high in the diﬀerent countries, with rates in some life domains (eg, family and social relations) substantially similar to those in people with schizophrenia. Discrimination related to depression appears to act as a barrier to social participation and successful vocational integration. Non-disclosure of depression is itself a further barrier to seeking help and to receiving eﬀective treatment. The authors also note that the levels of discrimination in their study might be underestimates because people with very high levels of experienced or anticipated discrimination could have avoided service contact, whilst study participants were selected from patients who were treated rather than true prevalent cases in the community. Commenting on the study finding according to which experienced discrimination appeared to be positively associated with having been admitted to hospital for psychiatric treatment (Having at least one lifetime psychiatric hospital admission featured as a strong predictor of reported discrimination), the authors remarked it might suggest that people with depression might perceive speciﬁc mental health-care facilities as more (eg, psychiatric hospitals) or less (eg, outpatient settings) stigmatising. 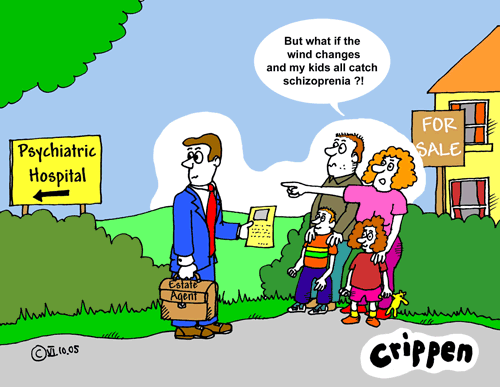 In a similar vein, stigmatisation has been found to be lower in outpatients without schizophrenia who were treated in a general hospital than in those treated within large state psychiatric hospitals. The authors suggest that there might be a service-speciﬁc eﬀect on reported discrimination with self-esteem having a mediating eﬀect on service perception (ie, more coercive and institutionalising settings being associated with low self-esteem, and more empowering and recovery-oriented settings being associated with increased self-esteem). I can certainly relate to that. I experienced my hospitalisation and sectioning back in 2009 as deeply stigmatising and giving rise to profound feelings of shame and self-devaluation for me. Furthermore, addressing the question as to whether higher levels of anticipated and experienced discrimination are associated with lower willingness to disclose a diagnosis of depression, the authors note that in their study people with higher levels of anticipated discrimination were less likely to disclose their diagnosis of depression. Non- disclosure of depression might be a barrier to help seeking and receiving eﬀective treatment. People with depression might avoid treatment because of concern that they will be negatively judged or discriminated against by other people. complete or selective disclosure might work for some people whereas non-disclosure might be best for others, and the more correct approach (disclosure vs non- disclosure) might change as an individual moves through phases of recovery. I can certainly relate to the complexity of the issue of mental health disclosure in the context of employment- in my experience, full disclosure of my mental health history was linked to (and perhaps led to) what could be perceived as stigmatising and differential/discriminatory treatment in relation to my occupational health clearance at the University where I am based. Finally, touching upon the issue of strategies to tackle stigma and discrimination related to depression, the authors suggest that ‘new and sustained approaches are needed…to prevent stigmatisation of people with depression, minimise discrimination towards people with depression at individual, institutional, and structural levels and identify eﬀective strategies to reduce anticipated discrimination by people with depression towards themselves’. Given that experienced discrimination in people with a diagnosis of ‘major depressive disorder’ (and with mental health difficulties at large) appears to be high worldwide, I am wondering how useful and effective the various anti-stigma campaigns have been. 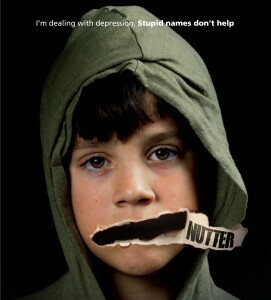 Take the Time to Change anti-stigma campaign in England for example. On the Time to Change website (www.time-to-change.org.uk) it is proudly announced that ‘Mental health has been the subject on everyone’s minds in 2012’ and that ‘Time to Change, England’s biggest mental health anti-stigma programme run by the charities Mind and Rethink Mental Illness, celebrates a milestone year for tackling mental health stigma’. On the same website ‘taboo tackling’ highlights/achievements are listed, including ‘more celebrities speaking openly about their own experience of mental health problems, which encourages others to do the same’. ‘Major depressive disorder’, stigma and discrimination: How far have we truly come, then? I’ll look more carefully at your blog – interesting that some in-depth research has been done on discrimination and stigma. I feel, however, that if I began to talk about my experiences, this would change. Part of this is because of ‘stereotyping’ and partly because it can change a spontaneous relationship into one where the other person becomes afraid of putting a foot wrong ie causing ‘upset’ (my parents and some friends). I’m most comfortable with fellow ‘survivors’ where I can drop my defences! I’m not comfortable saying anything more personal on than this on this issue on this blog – at least not without watching what I’m saying!I think there is a greater aceptance of ‘mental illness’ possibly through celebrities like Stephen Fry. A side to stigma that perhaps the research didn’t consider, however, is ‘pity’ – kindness, but at its base a feeling of ‘oh how awful for her’ and sometimes a voyeuristic interest. We are talking much more about personal issues around mental health but I do not hear many people without such experiences reciprocating , telling us about their inner lives. Having said that, I think yours is a great blog because it includes just enough personal comment to drive home the broader issues you are raising. My problem is that, on the internet, I tend to let ‘caution to the wind’ and then regret what I have exposed about myself 🙁 . Who doesn’t adjust attitudes according to what we know about people? thank you for sharing your thoughts here. With regard to your reference to acceptance, the research reported in the article looked at ‘positive treatment’as well, which I think acceptance is an aspect of. I fully agree that ‘pity’ and a voyeuristic interest are dimensions of stigma and discrimination too that the research does not seem to have considered. The problem with this research and research of that type is that it used a Discrimination and Stigma Scale to interview the participants. this scale is a structured interview with pre-determined questions about a range of life domains, such as work, marriage, parenting, friendships, housing, leisure and religious activities, which seek to capture experienced and anticipated discrimination. I imagine if the research had used a less structured qualitative interviewing approach (for example, an approach whereby the participants were encouraged to freely tell their stories with respect to stigma and discrimination), then it might have been able to explore further (different) dimensions of stigma and discrimination in the participants’ own terms of reference. ‘Pity’ and a voyeuristic interest might have emerged as dimensions of stigma and discrimination through the use of such approach. I think it is important that we know how particular research has been structured as this influences the outcomes, as you say. Separately, regarding celebrities. I do think public profiles like Stephen F and Ruby W help to “normalise mental illness” (make ‘mental illness’ generally more acceptable). But I’m fairly sure that these celebrities have access to resources and support that many of us do not (eg long term psychotherapy with practitioners of their choice?). This overlooks the importance of the relationship between how we deal with our issues and what support we have. For some people this will be medication which works for them with minimal side-effects, for others effective psychotherapy – the research talks of people avoiding treatment because of stigma – but support should be viewed far more broadly which seems to have been recognised by the research in the questions it asked. I’m thinking here of the ‘straws’ we may cling to, or search for, in crisis or to get by generally – niches we can withdraw into, supportive people, meaningful activity (not work for its own sake as advocated by, for example, by Rachel Perkins). This activity might be the artwork you produce or my involvement in a grassroots magazine in the 1970s or my studying through the OU ( a former cleaner and Personal Assistant to a disabled partner who also achieved a science degree!). In other words, whether or not we manage to integrate our experiences into our lives so that we can move on (I’m avoiding saying ‘recover’) does not depend solely on ourselves and accepting ‘treatment’or on our efforts or changes in outlook we may make. Although ‘bi-polar disorder’ may impact on anyone, the context of our lives is important – current circumstances, past experiences and how we view the future. We can ‘revisit’ all these but we can be helped or hindered in our endeavours by what is around us? Re celebrities: I wrote in my blog that i applaud Ruby Wax (and Stephen Fry) for talking publicly about their mental health difficulties. Today I found out that Ruby Wax charges £9000 (yes, £9000) for appearing for a few hours (a day) at the Disabled workforce conference to be held in Manchester in June!!! her story of mental health difficulties apparently costs £9000! outrageous! with such income, she definitely has access to resources that most of us do not!! Re moving on/getting better/’recovering’: I think these processes are psychosocial processes, that is they are psychically unique for each of us but also socio-culturally, politically and economically determined; so, context, as you say, is crucial- I agree; moving on and getting better for me has been definitely shaped not merely by my determination and engagement with therapy (which was vital) but also by my family’s support, by having employment, by living in a decent house, by affording (through my parents’ pensions) to do the things i enjoy, such as going to the cinema, theater and art galleries. Thanks for explaining ‘psychosocial’. I know that ‘psychosocial disabilities’ is becoming the preferred term of, for example, the World Network of Users and Survivors of Psychiatry and in some areas of academia (name of person who contributed a paper at the Distress or Disability conference at Lancaster has temporarily slipped my mind) , although it did not make its way into the Convention on the Rights of People with Disabilities. I’m having to think through whether this is an acceptable way, for me, of subsuming ‘mental health’ into ‘disability’ (working on an article on this). On stigma and humour, evidence of ‘bi polar’ getting into the mainstream is Robert Thompson’s cartoon in the Metro yesterday 9th jan, linked to a front page story that fizzy drinks are linked to depression. Service user: ‘I keep getting these sugar high and lows. Therapist: You’re Bi-Cola. thanks, Anne. if you agree that every difficulty (disability or madness) is a psychosocial process, then perhaps ‘psychosocial’ in ‘psychosocial disabilities’ is redundant…?? i am not sure I would want to call mental health difficulties ‘psychosocial disabilities’. Interesting point about ‘psychosocial’ being potentially redundant. I’m personally not keen on psychoanalysis – I find quite a few of the concepts no more sound than I find psychiatric diagnoses – but I would be interested to know more of this connection with the term ‘psychosocial’. I guess you may have seen my paper ‘Distress or Disability’ 1994 (rep 2012)which formed the basis of my presentation at Lancaster? My objection to terms ‘disabled’ and disability’ goes back to the original Social Interpretation of Disability formulated by the Union of the Physically Impaired Against Segregation (1976) which later became the basis of disabled academic Mike Oliver’s Social Model of Disability. The UPIAS Interpretation had TWO components to it. First – physically impaired people (UPIAS members didn’t have a problem with describing themselves as ‘physically impaired’ whereas the Liberation Network of People with Disabilities did) were a DISTINCTIVE GROUP in society (because of their physical impairments). Secondly, society oppressed this PARTICULAR group of people, especially through barriers that prevented full participation, segregation,and control over their lives by those supposedly providing support. The UPIAS policy statement explains that members felt that the way forward was to focus on SPECIFIC ISSUES relating to physical impairment but to work with other oppressed groups. The issue for me is that I don’t accept that my ‘mental health issues’ derive from a physical impairment ie mental illness. I did initally think in terms of emotional and mental INJURY (1970s) but, with the emergence of Survivors Speak Out and the international Mental Health System Survivors (1980s), found the terms Distress and Dissent meaningful personally (locating my experience within social organisation and culture) and, later, as tools for analysis (paper presented at lancaster 2011). What do people mean here when they talk of’disabilities’.? Many people are not familiar with detailed arguments of the UPIAS. Is it another word for ‘impairment’ or ‘handicap’ (handicap,officially in the 1970s, being the disadvantages that arise through physical impairment) but with an implicit understanding that these disadvantages can be both externally imposed and removed which derives from the Social Model of Disability. this is beginning to get rather complex (and boring?) so will sign off! I have seen your paper that you presented at the symposium in Lancaster. I do not believe that my mental health difficulties derive from a physical impairment or a chemical imbalance either. Although I have found my mental health issues disabling (ie they have disadvantaged me a lot), i do not consider myself as disabled- but I get a small amount of DLA!!! (which I will lose after April, so I will not be confused over this one…). also I want to add that my mental health difficulties have disadvantaged me mainly in 2 ways:a) through external, structural obstacles (e,g unemployment and discrimination with regard to occupational health clearance at manchester university) and b) internal obstacles (e.g self-stigma; internalisation of negative messages given to me by professionals; loss of confidence in my academic ability).of course external and internal obstacles interplay, if you look at them within a psychosocial framework. I agree, a lot of psychoanalytic concepts may have been unfortunate. But my study of psychoanalytic concepts when I was working in Preston (uclan) in a Psychosocial Research Unit, provided me with useful analytical tools. when we meet again, I will bring you some papers on the ‘psychosocial approach’ to looking at psychological and social phenomena. Will say more about disadvantage re the way Vic Finkelstein (UPIAS) took some official definitions on impairment, handicap and disability (perhaps the first attempt in the Uk to distinquish various aspects to being disabled) and redefined them later. 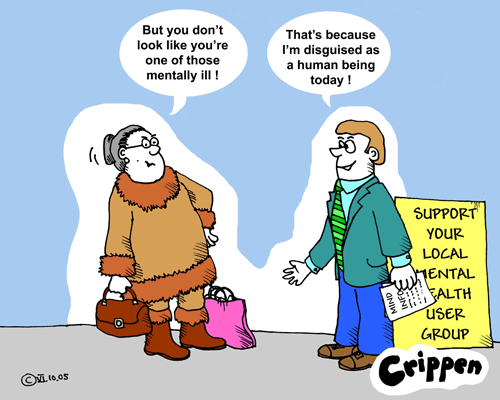 The problem with Vic’s definitions ,which were adopted by the UPIAS, is that they were carefully argued whereas the success of the Social Model of Disability is that people in general just pick up the ‘gist’ – ie that there are ways in which we are disadvantaged – or as the UPIAS would have said, prevented from participation (ie oppressed!). For myself I have an holistic framework which links ‘psyche’ to environment (physical, personal, social, political, cultural, spiritual) which is mediated by neurophysiology. I guess this is an extension of a psychsocial model? I also add time – past, present, perception of the future. I think those of us with mental health issues are more conscious of the ‘internal disadvantages’ (insecurity – which doesn’t necessarily mean lack of self-esteem- is a major issues for me) than certainly the disabled people I have known over the years. I am certainly interested in your paper though it’s not a subject I’ve gone into at any depth. An interesting title – Mad Knowledge,difficult knowledge. I would say your holistic framework is exactly what the psychosocial approach advocates (the way I understand it, anyway).